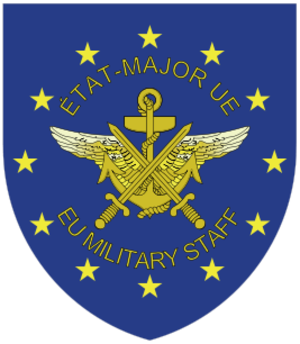 "European Army","EU Army","EU Military Staff","EU Military Committee"
EU member states have agreed to more cooperation on "defence," after France urged its European partners to fight austerity by boosting military cooperation. The defence ministers plan to work more closely together in the areas of weapons acquisition and maintenance. 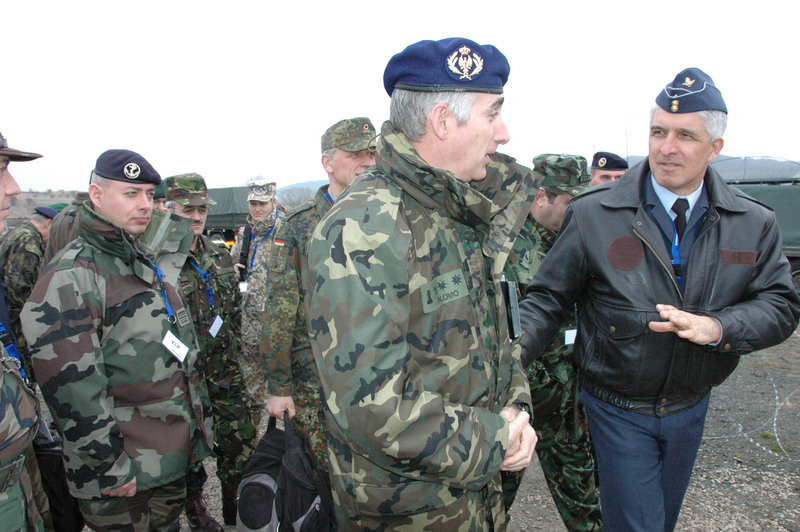 The French Minister of Defence, Hervé Morin, said: "All the countries of the world are rearming, and the Europeans, who already before the crisis had really weak budgets, have now carried out new reductions." He said most European countries had abandoned the idea of ensuring that they had sufficient military capability to exert more influence in the world. The Belgian Minister of Defence, Pieter de Crem, said that some progress was being made, and he pointed to an agreement signed two weeks ago under which the Netherlands, Belgium, France and Germany would pool two hundred military transport aircraft under a single command, with Spain and Luxembourg expressing a willingness to join the project also. "This is the kind of cooperation we will be developing more," he told a news conference. A large quantity of military equipment was shipped out of Co. Cork, Ireland in the first week of October for an EU battle group exercise in Sweden commencing the 11 October. Thirtytwo vehicles, including eighteen armoured personnel carriers, light tactical armoured vehicles, supporting container trucks and light patrol vehicles, and up to eleven sea containers, were loaded on the Nemel at Ringaskiddy for the five day voyage to Sweden. Some 140 Defence Forces personnel will join more than two thousand troops from Sweden, Norway, Finland, and Estonia, under the command of Brigadier Stafan Andersson of Sweden, for the exercises in culmination of preparations for "Nordic Battle Group, 2011." The Irish element provides a specialist information gathering capability and is equipped with reconnaissance, surveillance and communications vehicles, which allow them to gather information up to 70 km ahead of the main force. The exercises are intended to prepare troops for duty as members of the EU's Nordic Battle Group, which will be on standby to carry out "peace support operations" at five days' notice during the first half of 2011.